Today, a fact about a cute animal — and then a fact about a far less cute animal. You know, for balance. According to a few sources — including a 1976 issue of Nature and a 1912 etymological dictionary of English surnames — the word exists, and I guess that makes sense. 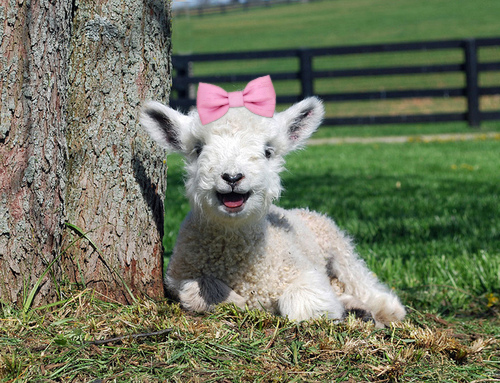 But I’m even more surprised that I can’t find any sort of counterpart — an obscure one-word name for a male lamb. Weird, right? Now, the less pleasant animal fact: The technical term for a group of stinkbugs is intrusion. I feel like etymological research isn’t necessary to figure out why this is.